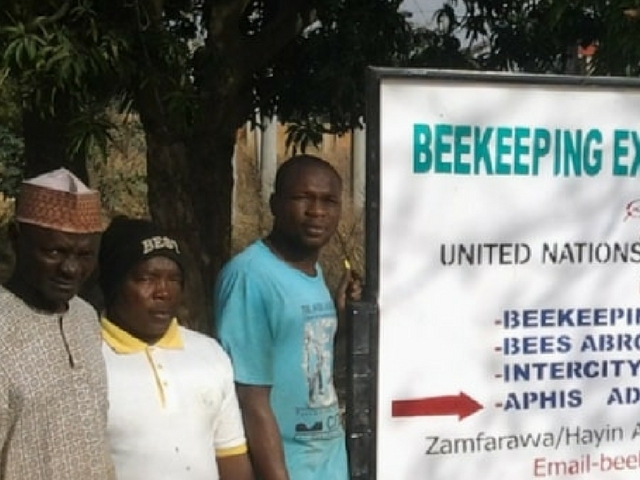 The United Nations Staff 1% Development Fund has awarded a grant to a new beekeeping training centre at Zamfarawa in NW Nigeria. 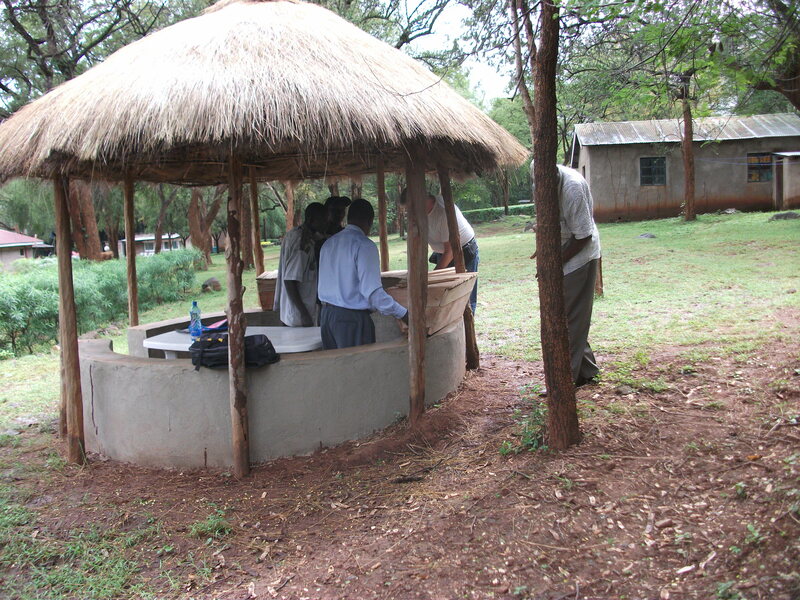 The UN 1% fund identifies community projects in developing countries with potential to become self-sustaining and keeps in touch with local contacts who supervise and monitor the development initiatives. 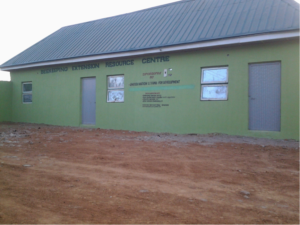 The new Beekeeping Extension Resource Centre will be an education centre for rural communities, school children, and students of Ahmadu Bello University and the Samaru College of Agriculture. 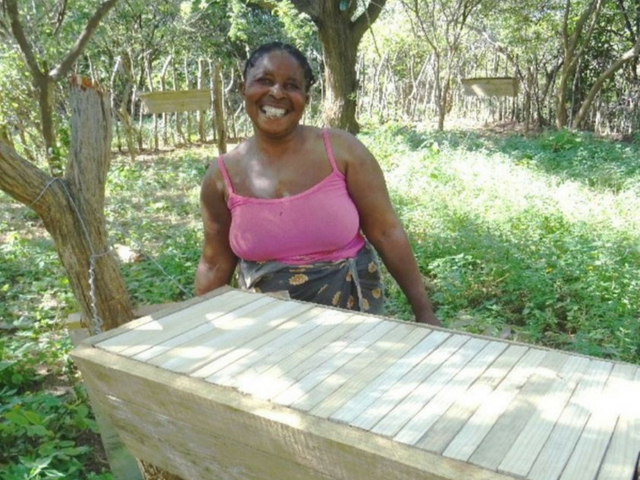 There will be a range of literature and other information on beekeeping available, examples of hives, protective clothing and extraction equipment, and a projector and screen for presentations. 120 local community members, 60% of whom are women, have already registered their interest. 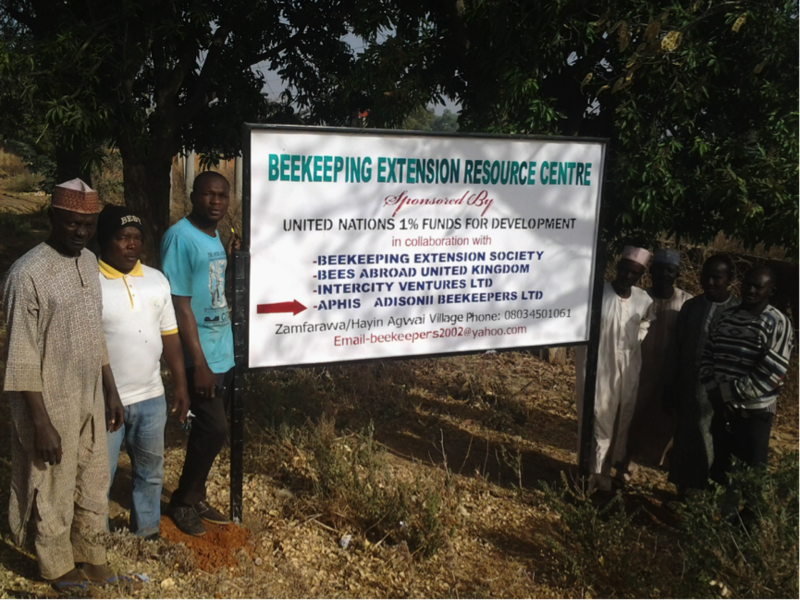 The Beekeeping Extension Society (BES) have managed and run a number of projects funded and supported by BeesAbroad. The existing capacity of the group, and the involvement of Idris Muhammad Barua, BES’ Project Director (and previous BeesAbroad trainer for projects in Cameroon and Liberia) was pivotal to securing UN funding as it proved that the funds would have long-term, sustainable outcomes. 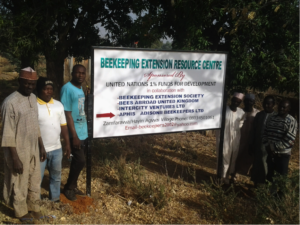 BeesAbroad are very proud that our current and previous projects have contributed to this exciting step forward for beekeeping education for Nigeria.